How is it possible for something as sacred as religion to be a cause of trauma? The main purpose of a religion is to guide mankind towards the process of self-actualization. However, there are a number of accounts which point at religion and blame its culture for the adverse effects observed in certain groups of people. Is it religion in general? 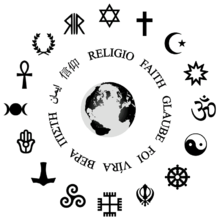 All kinds of religions pose a threat to humanistic development? Fundamentalists who have experienced life from within the above-mentioned cults undergo Post Traumatic Stress Syndrome as well as Religious Trauma Syndrome after they leave. Matter of fact is, a person may be in a cult, least realizing that it is harming them. So, how would you identify whether your religion is working towards your self-actualization or is causing you to regress from humanistic values? Mental and emotional torture as a result of violence and murder. The question also arises whether the above-mentioned indicators are attributed to fundamentalist cults only, to which I would disagree. Take the example of Buddhism, whose wisdom guides many to inner bliss. Why then do the Buddhists engage in mass killings and brutalities towards the Rohingya Muslims? Does their religion guide them to do so? Answer is no. There is need to separate the cult from its followers in such a scenario. This leads us to the realization that individual mentality and that of a society can largely influence their understanding of a given religion which would then govern their behavior. Factors like misinterpretation of religious principles, the treatment a person may have received right from childhood or at any phase of life as well as their response to various life situations greatly determine their perception and thus implementation of religious principles and their world view. At any point when there is no balance between emotion and intellect, know that you are detouring or heading the wrong way. ← How much do we see and how much do we look?